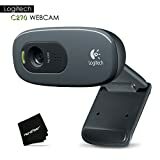 Feb 16, 2017: Can I get some recommendations for budget mics and webcams for first time streamers? Sep 24, 2017: Webcam For My Stream? Oct 04, 2017: What wifi cam do you use? Jun 01, 2018: Finally got all of the cables sorted after moving and changing desks. Feb 12, 2019: Budget webcam w/ mic?